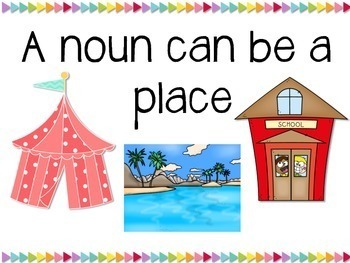 -1 printable- Read the sentence, fill in the blank (labeled with person/place/thing). 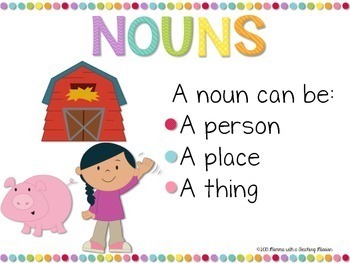 -3 different printables- Cut/paste the nouns under person/place/thing. 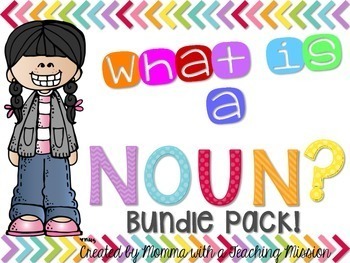 *4 different printables for students to spin the noun and write a sentence using that noun. 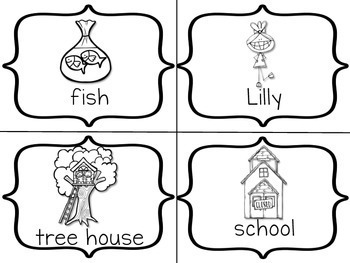 *3 different printables/centers for students to spin a person,place, and thing and write a sentence using all 3. There are 32 task cards, 2 different kinds of recording sheets, and an answer key. By purchasing this bundle, you are saving 25% instead of purchasing each item separately.